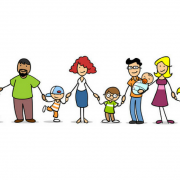 €89m increase for childcare …. “I am very pleased that we have again delivered as promised on the commitment to continue investing in our children and young people. Today’s €127m package represents another significant step in ensuring access to high quality, affordable childcare and ensuring that Tusla is in a position to continue on its programme of service reform and targeted development of key services. “I am delighted we are able to increase income thresholds to bring more children and families into the scheme, I am also very pleased that I have managed to adjust the lower income band, meaning that maximum subsidy rates will now be paid to all families with a net annual income of up to €26,000 . This ‘poverty proofs’ the scheme by ensuring that families at or below the relative income poverty line will benefit from the very highest subsidy rates under the scheme. Tusla will receive an increase of €33m in 2019 bringing its total allocation to €786m – an increase of 4% over 2018. The extra funding will be used to progress a number of key priorities including the implementation of recommendations made by HIQA on the management of child sexual abuse allegations and supporting Tusla to deliver on the Government’s commitments relating to unaccompanied minor refugees under the Irish Refugee Protection Programme. I strongly support Tusla’s important work and have secured an additional €110m for the agency since becoming Minister in 2016. The additional resources provided are necessary in order to deliver on a significant programme of service reform and have also allowed for targeted development of key services. Minister for Finance, Paschal Donohoe said the base income threshold is being raised from €22,700 to €26,000. The maximum income threshold will go from €47,500 to €60,000, and the multiple child deduction will increase from €3,800 to €4,300. Delivering his speech for Budget 2019, Minister Donohoe said the scheme makes a real difference to the lives of thousands of families not only in terms of accessing childcare but also in terms of encouraging people back into the workplace. 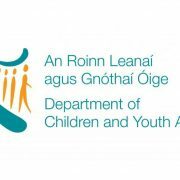 Minister Donohoe also announced an additional €127m for the Department of Children and Youth Affairs in 2019. “This funding will facilitate our children and young people in reaching their full potential,” he said. Funding for Tusla will increase by over €30m to just over €786m, while funding for early learning and childcare will increase by just under €90m to €574m. 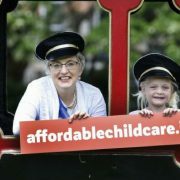 The National Women’s Council of Ireland welcomed the increase in funding for the Affordable Childcare Scheme. “The lack of affordable, quality, accessible childcare and after school care is one of the biggest barriers to women’s employment and participation in public life,” the NCWI said in a statement.